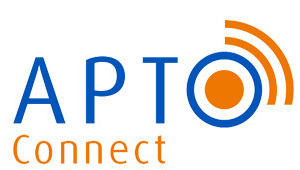 For companies of all sizes, APTO Connect provides a seamless and professional image when greeting incoming calls from customers, potential customers and the public. Calls are answered promptly, efficiently and accurately and, whether you require reception services during regular business hours, after hours, or occasionally, APTO Connect’s answering services are easily adapted to meet your needs. We become the face of your company. Our receptionists are highly trained and skilled in answering, screening and appropriately transferring the calls to the appropriate staff. Where required and with your specifications, they provide appropriate information to callers, and take and deliver accurate messages. Cost-effective – and that is positive for your bottom line! The APTO Connect team is thoroughly trained to understand your company’s business and its preferred approach and delivery in communicating with your customers. Our team offers a consistent professional image for your brand – and our customer service levels are second to none. If you require multi-lingual or “special” services, talk to us about your needs. Call us to learn more about our answering services. We have solutions for all of your reception needs – during regular business hours or beyond, during seasonal or busy times, or for occasional relief. You’ll have peace of mind knowing that APTO Connect is representing your professionally, accurately and efficiently. Or, in other words, APTO Connect gives you peace of mind. Never miss another call. We're here day or night to anwswer the calls you can't.